This excerpt is from a dictation by the Maha Chohan published in the 1994 Pearl of Wisdom Vol. 37 No. 33. I center on the heart chakra this day, for it is the central sun of being. Without the balanced threefold flame, and your adoration of the Atman in that flame, you will see that the other chakras cannot be intensified. Therefore, we approach the sacred heart and the fires of the heart. We approach, beloved, that you might see and know that that magnanimous heart — that self-giving heart, that heart that is a fount overflowing — is the wonder of life and the wonder of self-transcendence. Take heed, then, when I tell you that if the heart is not purified and endued with the love of your Christ consciousness, the vessel will be neither large enough nor strong enough for you to contain the Holy Spirit in the manner I would have you contain it. 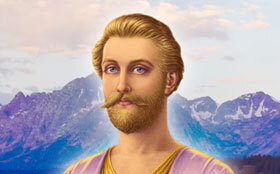 Therefore, take Saint Germain’s Heart Meditations. Take them to heart and play them and move with them and give your prayer offerings unto your I AM Presence. The Holy Ghost is the presence of fire, sacred fire, purging fire — fire that tries every man’s work of what sort it is. The work of a man is the work of his heart, and when he consistently puts his heart into his work he will have the immortal prize in due course. However, when he does that work only to be admired of men, there is no gain. Thus, if there be glorying, let it be the glorying in God and not in self. 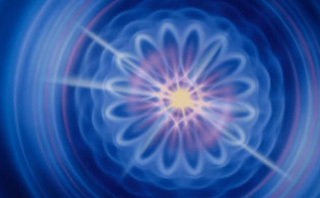 Visualize the Great Central Sun in the heart of cosmos superimposed over your heart. Remember Helios and Vesta. Remember the rituals of the Sun1, for these rituals, beloved, give the increase. Your meditation of the journey to the Sun and the return again2 can be repeated weekly once you have established a daily decree momentum of two years or more. El Morya’s Ashram Rituals, especially the Great Central Sun Ritual, will strengthen you for this meditation. Fire of Helios and Vesta, come now! And let this fire be the anointing of the heart unto its quickening. Draw rings of light around your heart, beloved, and know that these rings, sustained by you through the ritual of the cloud and other spiritual exercises, will bring you to that capacity which you seek — the capacity for steadiness day in, day out, the capacity for courage come what may, the capacity to love and to continue to love. Therefore, ask to be taken to the retreats of the Lords of the Seven Rays so that you can enter into the spiritual exercises of the heart. Ask to be taken so that you may expand the qualities of the heart and balance the threefold flame. Love is the key. Whatever else you may develop or acquire in this or a thousand lifetimes, without love — without love in the manifestation of the power of the three-times-three and the nine gifts of the Holy Spirit3 — you will not fulfill your mission. Be generous with love. Give love daily. And daily call on the law of forgiveness for having withheld love in the forgotten past. 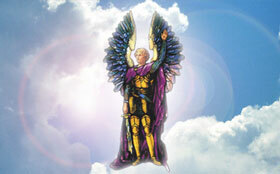 In addition, call on the law of forgiveness on behalf of those who play the role of the enemy. By your love let the souls of all people be converted to the Path. 1. Rituals of the Sun. See Ashram Ritual 2, Great Central Sun Ritual, in Ashram Rituals booklet. For mantras to Helios and Vesta, see “Salutation to the Sun” and “Father/Mother Light Mantra,” decrees 20.20 and 20.21 in Prayers, Meditations and Dynamic Decrees for the Coming Revolution in Higher Consciousness. 2. The Meditation on the Great Central Sun, from chapter 7 of The Sacred Adventure by El Morya, is recorded by Elizabeth Clare Prophet on AscendedMasterLibrary.org, search for item “B91045” or under the year 1991. 3. The nine gifts of the Holy Spirit. 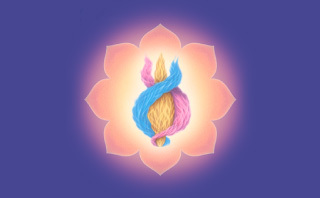 The Maha Chohan and the Seven Chohans initiate the soul in the nine gifts of the Holy Spirit. See Lords of the Seven Rays, Book One, and I Cor. 12:8-10.